Bermudian basketball player Caelin Peters reached a new career high scoring 37 points in the John Salmons Play by Play Classic showcase game on Saturday, February 2nd at PWHS Gym West. 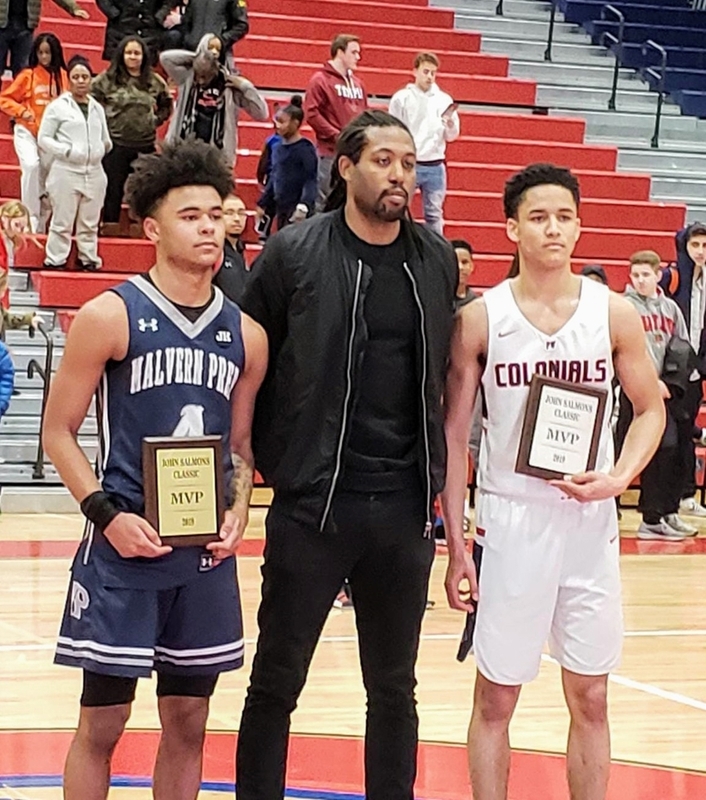 Peters team, the Plymouth Whitemarsh Colonials, came into the affair with a 12-8 record to take on Malvern Preparatory School, a team that features solid guard play and is known to run the floor. Malvern is led by one of the top point guards in the Philadelphia area, Duece Turner, a strong and speedy guard who has already received offers from division 1 programs LaSalle and Bucknell University. In the second half, after trading baskets, Malvern opened a ten point lead behind Turner which they carried going into the fourth period. With less than two minutes on the clock, Peters caught fire, hitting 3 three pointers, a layup, and two free throws to bring the colonials within three at 86-89 with just seconds left in the game. After Duece Turner made one of two free throws, the game ended without PW getting up a final shot. It was a high scoring, fast paced game that saw Malvern Prep winning by a score of 90 to 86 against the Colonials. Peters 37 points marked the first time in his varsity career that he has eclipsed the 30 point mark. Peters has proven himself to be a solid floor general, but with injuries plaguing the Colonials, he has been called upon to pick things up in the scoring department, where he averages 15 point per game this season.